The just plan it software offers various ways of creating and modifiying resources and resource groups that are described in this chapter. 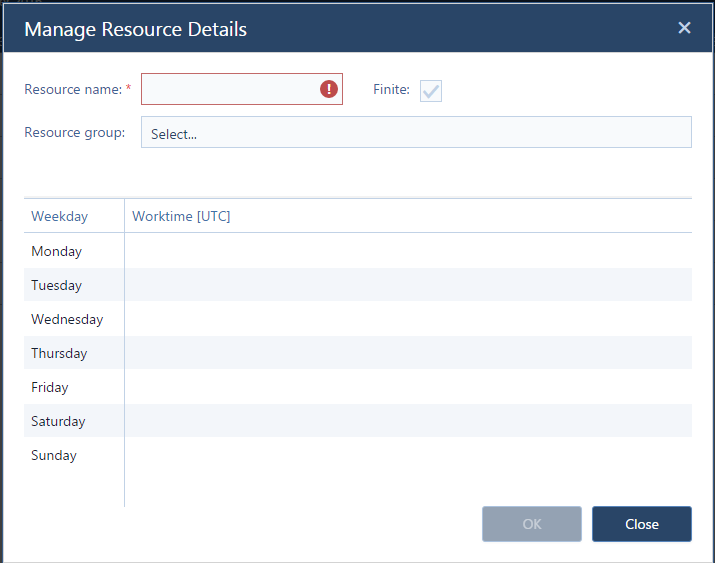 Switch to the Resource View and click on next to the resource group name to open the "Manage Resource Details" dialog. 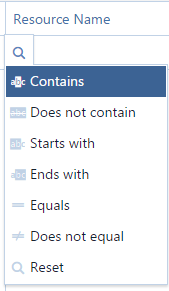 Enter all needed data and and click OK. 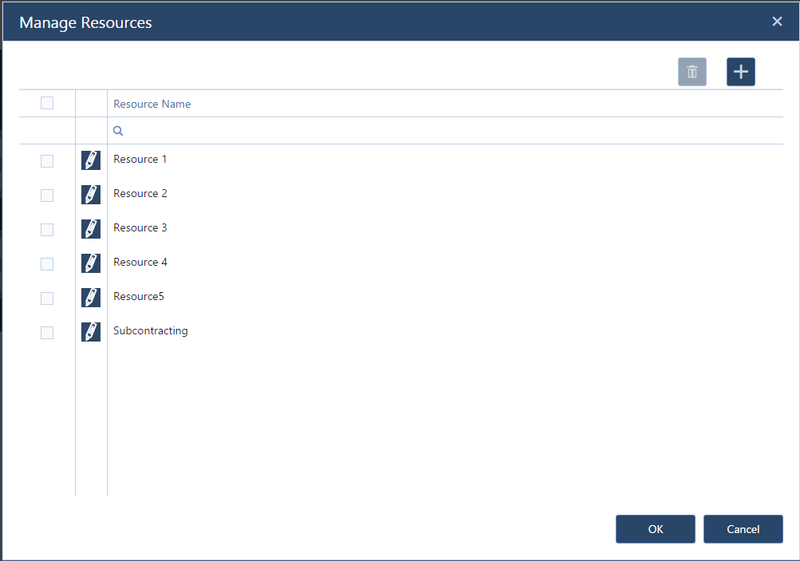 In addition to creating resources, the "Manage Resources" dialog can be used to edit resources as well. To call it, either click in the menu bar or in the resource line. Sort the resources by name or by resource group in ascending or descending order by clicking the according table header. The sorting order will be indicated by an arrow symbol pointing in the according direction. Filter the resource list by entering the criteria in the search field next to the magnifyer icon. The field Resource Name offers a list with relational operators to select from when you point to the magnifyer icon without clicking. Delete one or more resources. If you want to delete more resources, select them by ticking the checkbox in the first column. Ticking the checkbox in the first row will select all resources. In the "Manage Resource Details" you can add add further attributes to your resources. Select the resource group/s. 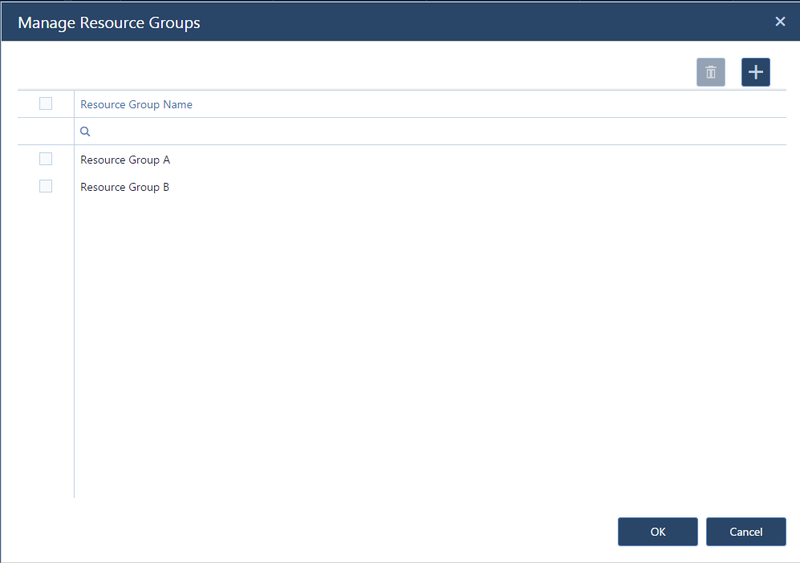 One resource can be assigned to multiple groups. The resource is diplayed in all groups it has been assigned to, its allocation in one group being shown in the other groups as well, the bar there being colored with less opacity. Determine the working times of the respective resource. If you define a resource as infinite by unticking the corresponding checkbox, this means that this resource can be allocated to unlimited tasks at one time. 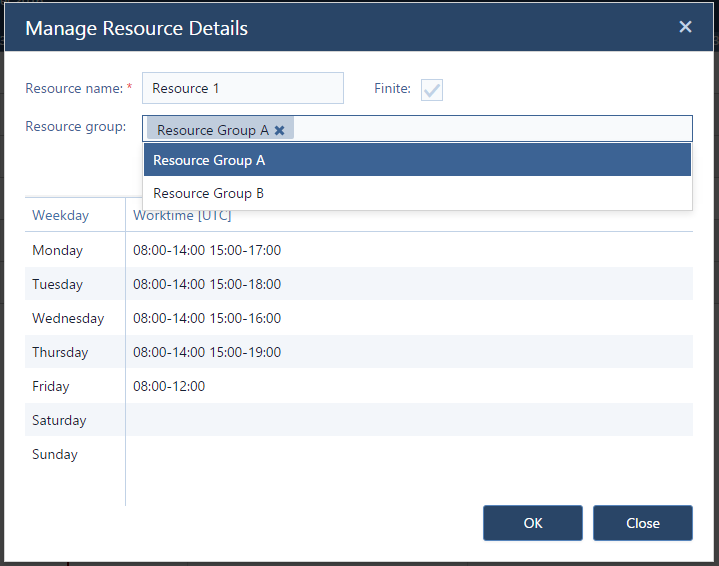 Click on to open the "Manage Resource Groups" dialog, where you can create, edit, and delete resource groups.